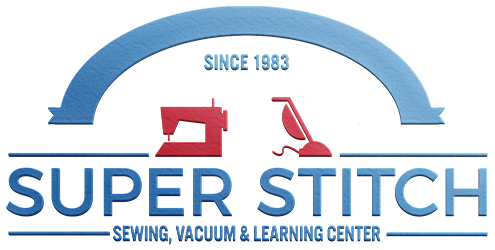 Find out why customers drive 2-3 hours to visit Super Stitch! Since opening in our first store in the Concord Hotel in 1983, we have worked hard to provide quality products backed by unequalled support for our customers. 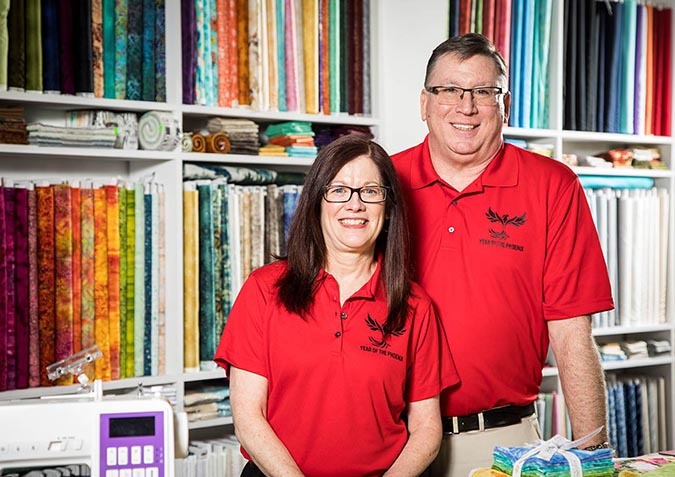 We value each and every customer by helping you choose the right product for your sewing needs and then providing continued support after the sale. In our Sewing Center, we offer Janome, Elna and Necchi sewing, quilting and embroidery machines and sergers. 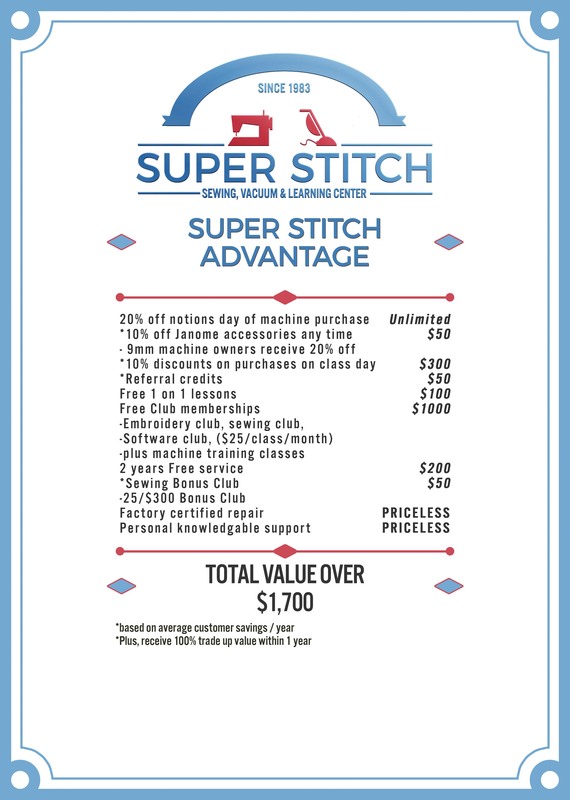 We support all our sewing machine owners with our Super Stitch Advantage, including FREE one on one lessons, FREE monthly club classes, 2 years FREE service and more. With locations in Warren and North East, we also offer fabrics, notions and teach a variety of classes ”For more fun than you should have with a sewing machine.”Why Janome? Our mission is to provide quality products for the sewing needs of our customers. After offering other sewing machine brands in the past, We have returned to being an Exclusive Janome dealer, as we have found that nothing else compares to the quality, dependability,and user-friendliness of Janome-made products, including Elna and Necchi! Now Includes Online Training Video Tutorials! North East classes include a variety of classes open to anyone with any machine or machines are provided upon request. We are happy to introduce new instructors teaching new classes. We welcome your suggestions for future classes. Lynn offers a variety of classes including quilting and embroidery projects. Classes are open to all machine owners. 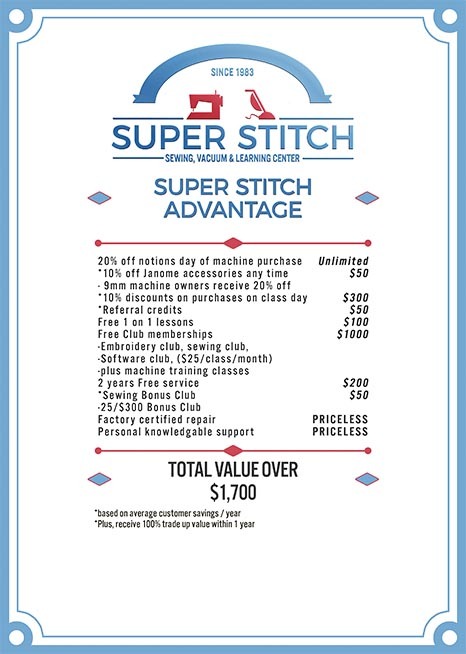 Super Stitch Club Classes are FREE to ALL Super Stitch machine owners. Club classes include Sewing Club, Embroidery Club, Serger Club, Software Club, NEW-Cuting club, as well as machine trainings. Projects and lessons are designed to help you learn different techniques while learning to take advantage of the features and functions of your machine model. We offer several Special Events throughout the year for even “More fun than you should have with a sewing machine.” Check back often to see what we have planned.